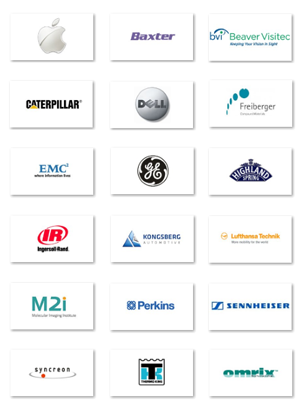 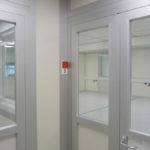 In 2009 our German partners were awarded the contract to build a new Cleanroom for an Udaras na Gaeltacht client in Spiddel in Galway for electronics manufacturing. 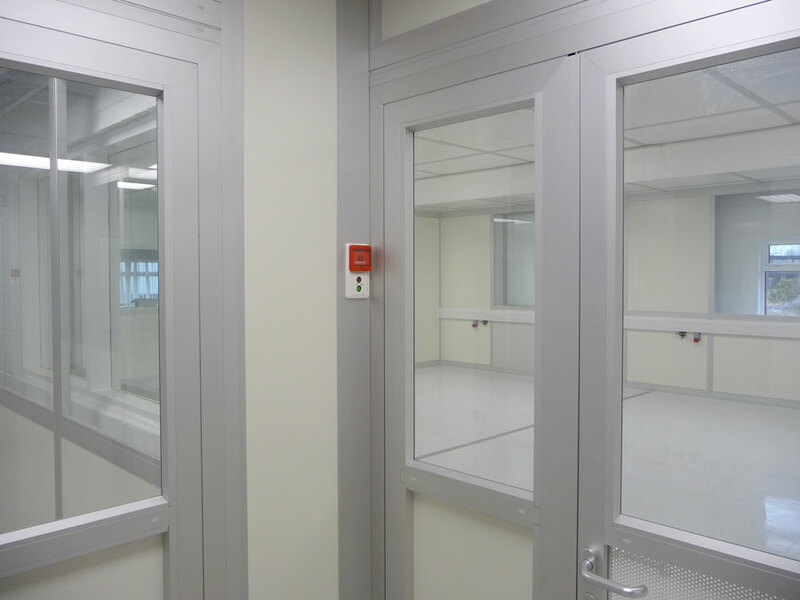 This was for a 300m² class 10,000 cleanroom constructed from the Octanorm Cleanroom system which consisted of 2 main production areas, a gowning room, internal corridors and an integrated process chamber for the installation of a specialist machine. 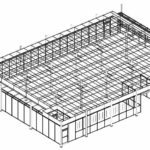 This was constructed within an existing production hall and was of a turn-key nature including all ancillary works and service. 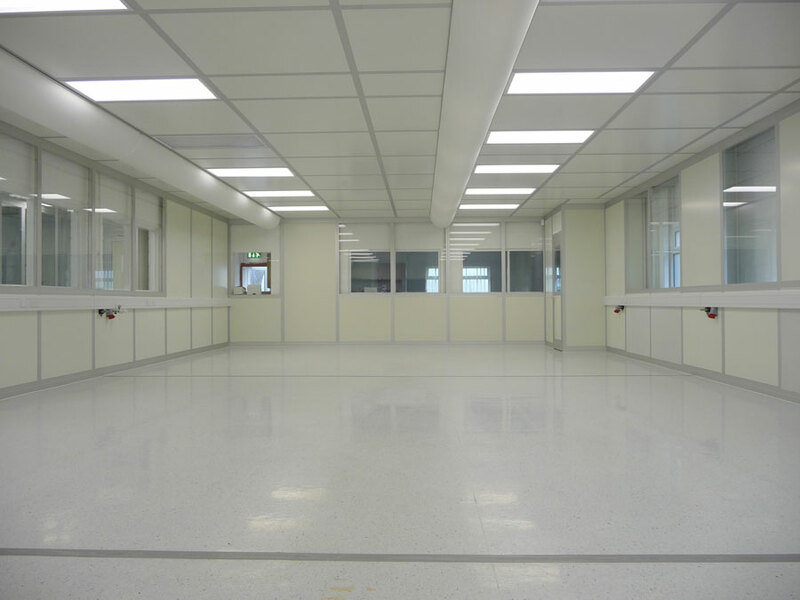 This project was delivered as a joint venture between the 2 companies and heralded the commencement of the partnership we have today. 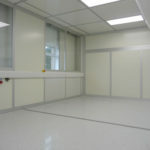 Modular wall Cleanroom system with textile ducts and complete fit-out and integration of all internal systems. 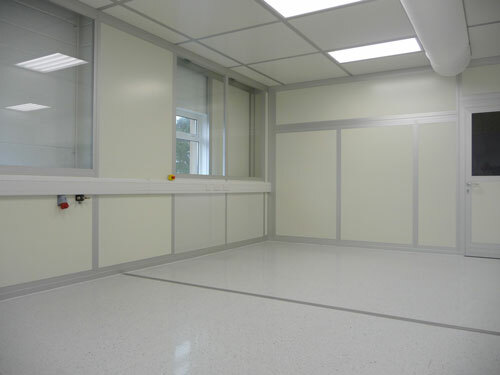 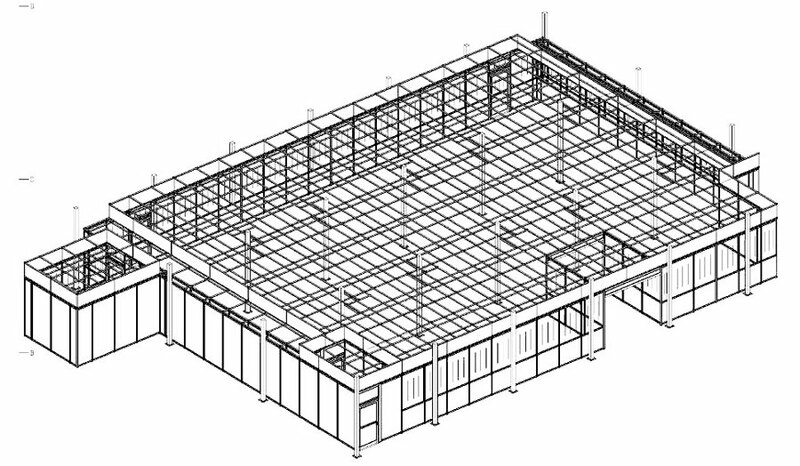 ISO Class 7 modular cleanroom construction with ceiling integrated textile ducting for laminar air distribution. 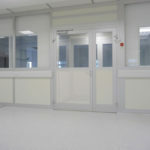 Constructed within an existing room space with window positions utilising available natural light. 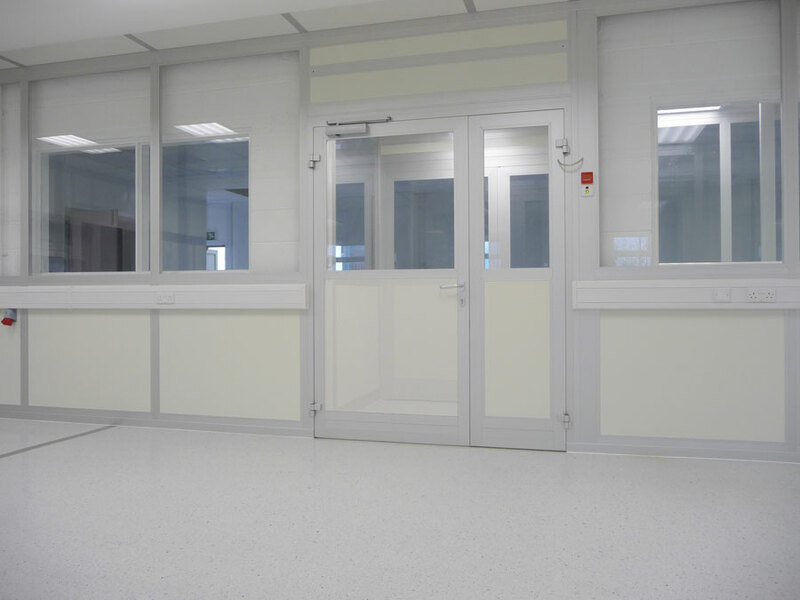 Integrated service dado rail with electrical sockets and data points. 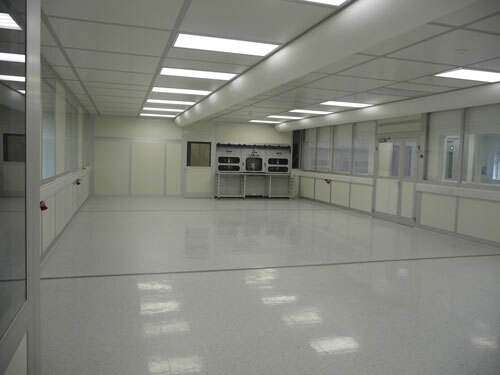 Class 10,000 certified cleanroom with integrated process machinery and segregated work zones. 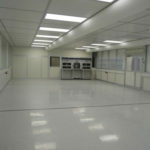 Turn-key installation including all electrical, HVAC and flooring. 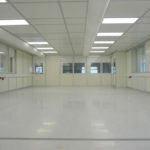 Air handling concept utilising textile ducting with 25 air changes per hour.